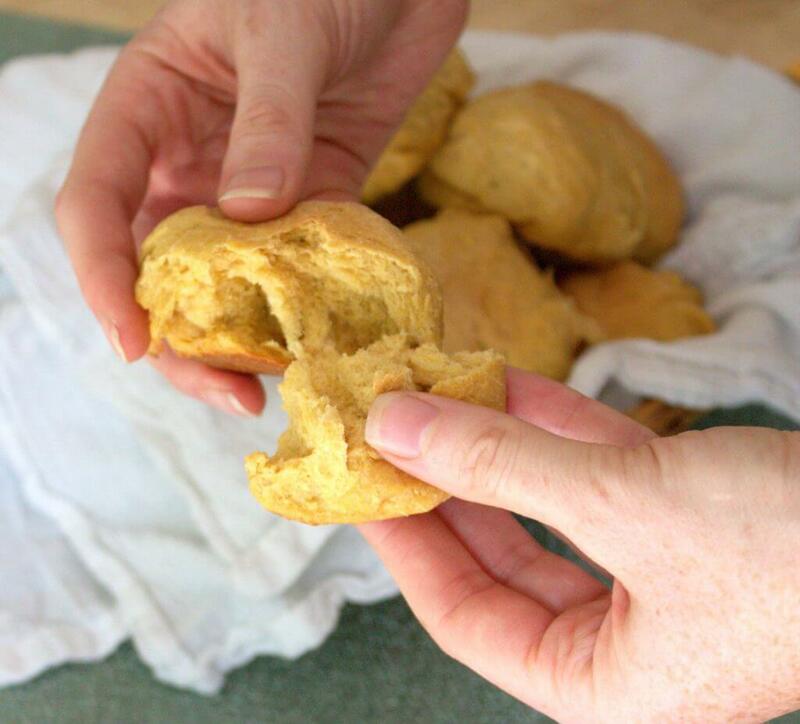 Dinner rolls tend to be a staple at dinner parties year round, which means that they are pretty easy to get tired of, especially if you are making the same recipe over and over again. 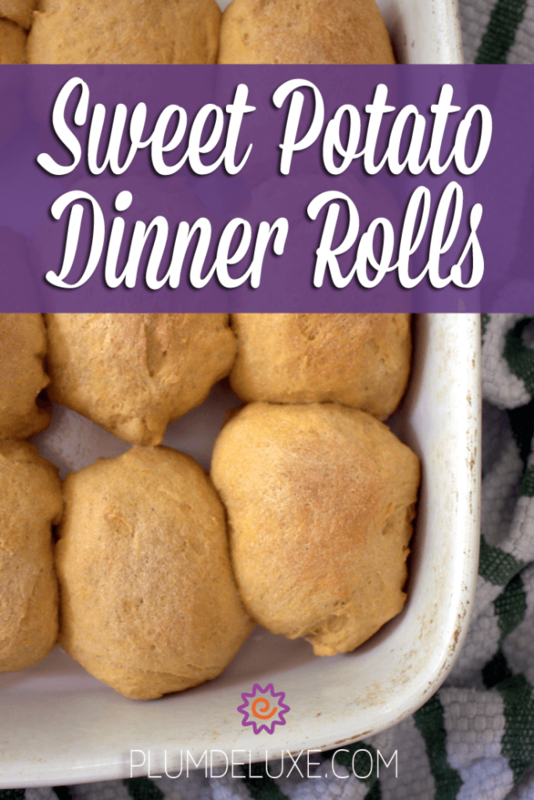 That’s why we love this super easy sweet potato dinner roll recipe. It’s a fun way to add some new flavor to an age-old classic. 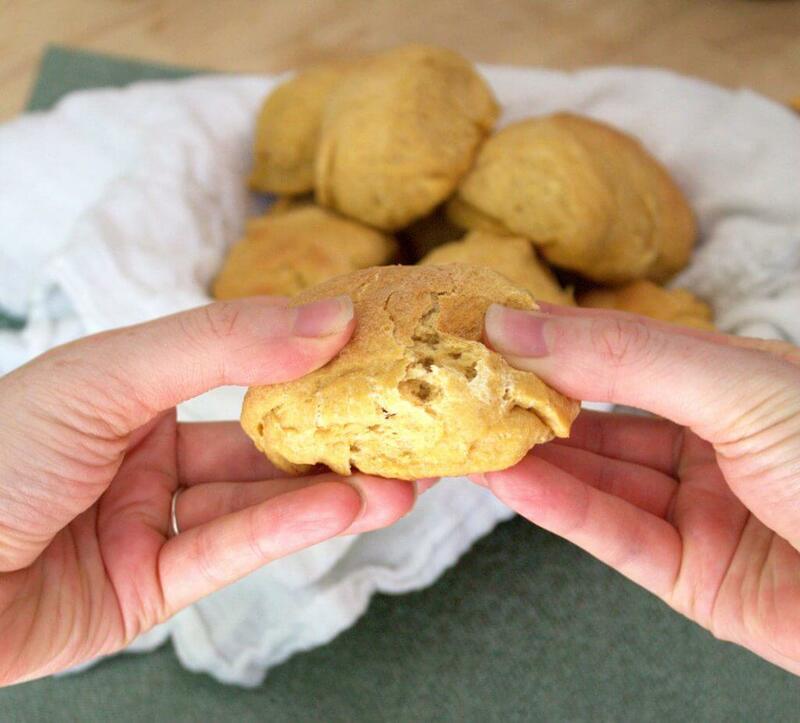 Adding sweet potatoes to the dough doesn’t necessarily mean that your rolls will taste like sweet potatoes, but it will add a bit of the extra sweetness that sweet potatoes are known for without adding a ton of extra refined sugar. The addition of sweet potatoes also has the wonderful benefit of making a softer and moister roll. If you love a super moist roll, another trick is to make sure the dough is still a little tacky when you’re done kneading it. This is accomplished by not adding too much flour, and kneading quickly. The sweet potatoes will make the rolls more moist on their own, but this little trick will make them even more so. As far as bread making recipes go, this is one of the easiest you will come across. With only a few basic ingredients and a couple steps, it’s a great place for a beginning cook or as a project with kids. You could even make it a bit fancier with the addition of a few herbs. 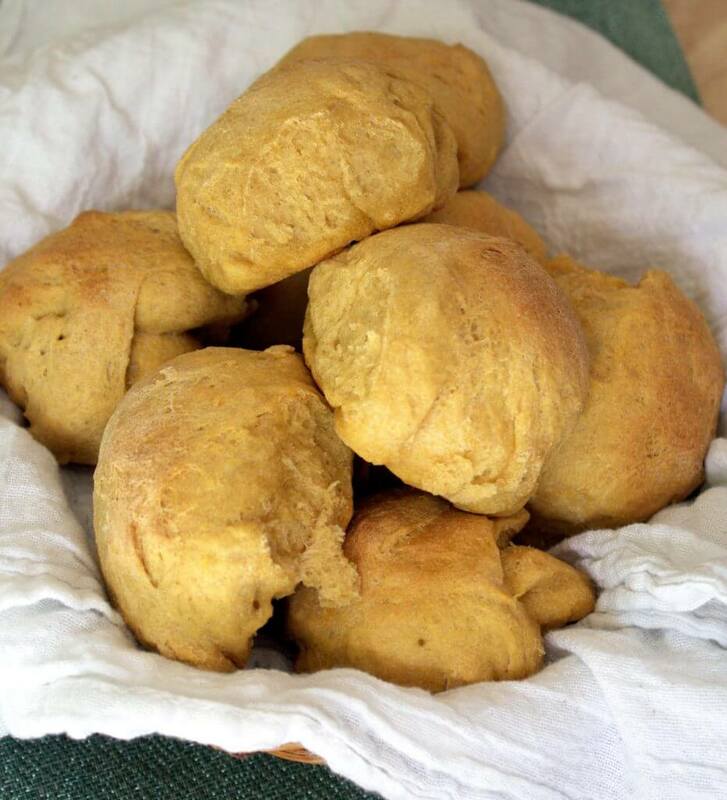 A teaspoon or two of a savory herb like rosemary added to the dough would be a great addition to these rolls. The recipe only calls for about half a cup of mashed sweet potatoes, which given the size of most store-bought sweet potatoes is about half or less of one potato. We suggest trying out this recipe with some leftover sweet potatoes or saving half the potato for another dish. Additionally, the use of bread flour creates a slightly denser and chewier bread, whereas all-purpose flour is a blend that can be used in everything from pastries and cakes to breads, so it produces a lighter, spongier bread. Either one will work in this recipe, so feel free to experiment and choose what works best for you. Dissolve yeast, warm water and 1 tablespoon white sugar in the bowl of a stand mixer. Let stand 5 minutes or until small bubbles form. If no bubbles form after 10 minutes the yeast is dead and you will have to start over. Add the brown sugar, sweet potato, butter, salt, and eggs to the bowl and turn the mixer to medium. Beat until well incorporated. With the mixer on low speed, add 3 cups of flour to the bowl; mix until blended and a ball begins to form. Turn the dough out onto a clean, lightly-floured surface and knead. Use the extra 1/2 cup of flour as needed while kneading to reach the desired texture. The dough should be elastic and slightly tacky. Knead for about 5 minutes. Place the dough in a large bowl coated with oil, turning the dough in the bowl so all sides are coated with oil. Place in a warm, dry place to rise, and cover the top of the bowl with a clean, damp kitchen towel. Let stand about an hour (the dough should double in size). Punch the dough down and let it rest for 2 minutes. Then divide the dough into 16 pieces rolled into balls. Place dough balls in a greased 13×9-inch baking pan; cover with a clean, damp kitchen towel and let rise again for about 20 to 30 minutes. Place in the oven and bake for 20 to 25 minutes or until roll tops are golden brown. Remove from the oven, let cool slightly, and serve warm.